Ann Arbor Michigan Realtor References. Looking to get references for Tom and other Agents and Brokers? "I feel like I hit the jackpot! " 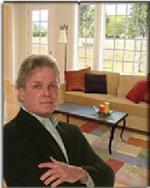 Generally speaking, your best reference source will come from other Real Estate Purchasers and Sellers. Try starting here using this third party reference source. "....wow, clearly all brokers are not created equal, Tom is wonderful.... "
"...His experience and expertise were obvious and benefitted us on many occasions throughout the sale process "
​..................Good luck with your search and don't be afraid to ask questions or for past clients that you can talk too.